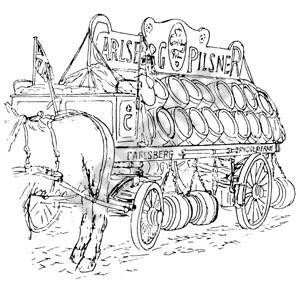 Carlsberg breweries in both Denmark and Canada maintain their famous beer-waggons, which are half as large again as the English type of dray. 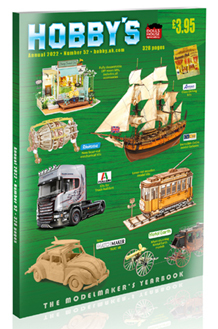 As well as being 'exhibited' at horse shows and fairs they are used for deliveries in several Danish Cities. The livery is particularly attractive, being basically white,signwritten in red and green, and with a varnished "barrel end" at the rear. The model is 23" long.